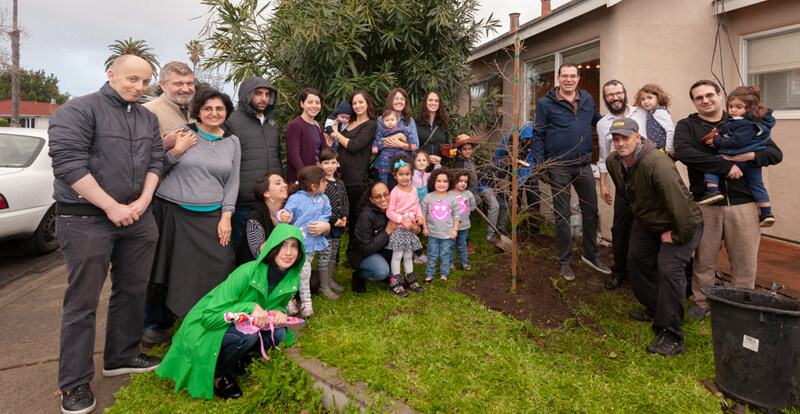 To help commemorate the Jewish holiday of Tu B’shevat, Chabad Santa Clara invited local families to come with their children on Sunday, Jan. 20. Celebrated on the 15th day of the Jewish month of Shevat, Tu B’shevat corresponds to Jan. 21 and is known as the beginning of the “new year for trees.” It also is the beginning of the season when some trees in Israel begin blooming a new fruit-bearing cycle. 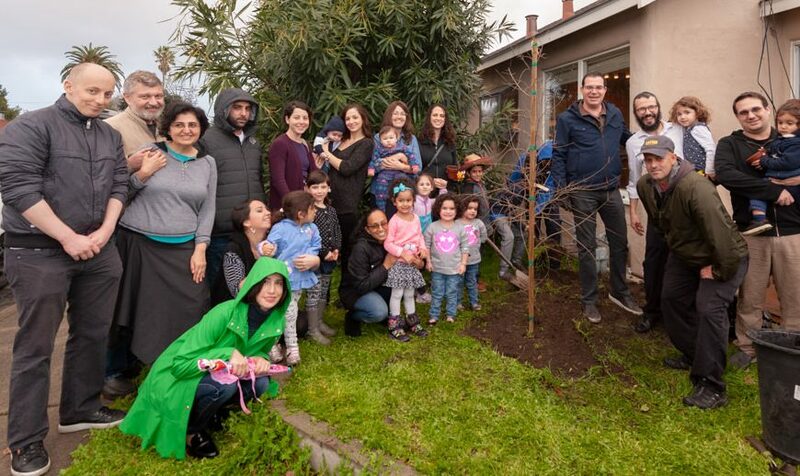 Children and adults were invited to get their hands dirty by helping plant herbs — basil and mint — and “one of the fruits of Israel, a Pomegranate tree,” explained Elena Rosenberg. While soil was spread out in planter boxes by Rabbi Yigal Rosenberg, children were invited to help spread the seeds. After the herbs were planted, the festivities moved to the front of the house where a pomegranate tree was planted. Children and adults helped shovel soil in to help support the tree and finish its planting. Even though rain began sprinkling, it didn’t dampen the spirits or the enthusiasm of those in attendance. After the tree was planted, everyone was invited in for dinner. During dinner, Rabbi Rosenberg shared some thoughts based on the teachings of the Lubavitcher Rebbe, the leader of Chabad, about the significance of the tree planting. “The tree’s primary components are the roots, which anchor it to the ground and supply it with water and other nutrients; the trunk, branches and leaves…compromise its body; and the fruit, which contains the seeds by which the tree reproduces itself. “The spiritual life of man also includes roots, a body, and fruit,” continued the Rabbi. “The roots represent faith, our source of nurture and perseverance. The trunk, branches and leaves are the body of our spiritual lives — our intellectual, emotional and practical achievements. The fruit is our power to influence others, to plant a seed in a fellow human being and see it sprout, grow and bear fruit. 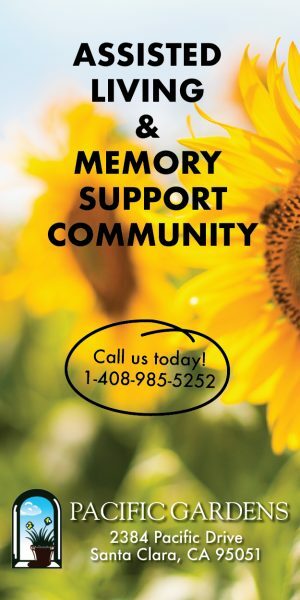 For more information about Chabad and their future events, visit their website www.JewishClara.com.